Do te like that fact that Sherlock is awkward around women? After seeing season 4 are te happy with the direction the mostra 'Sherlock' is going? Who do te ship with John Watson? I recently started watching BBC Sherlock and it immediately became my favourite series ever. There is so much professionalism in this show. It's so perfect - the photography, the script, the acting, the Musica - everything really. 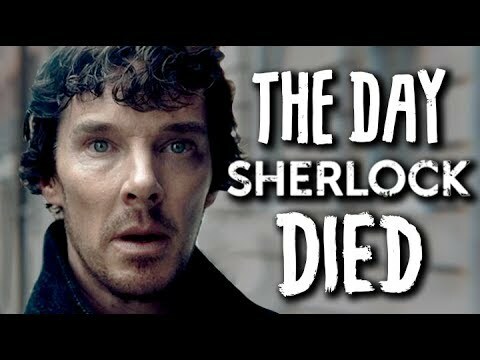 I don't believe that there is one Sherlock episode that is bad o mediocre at least. They are all great, but as it happens with all things, some episodes are better and some worse. Here is my personal lista of all Sherlock episodes from worst to best. These are some of my preferito Citazioni da Sherlock throughout the series in no particular order and not chronological either. I may have missed out on a few but here's what I remember! 5. …body parts in your fridge, microwave o other cucina appliances is just de rigueur. According to the Daily Mail, Sherlock will fall a life-threatening 70 foot from the roof of Saint Bart's Hospital in the first episode of the new series. The episode, entitled A Scandal In Belgravia, is a remake of the original short story, A Scandal in Bohemia. It is unclear if Sherlock fell from the roof o was pushed da an enemy but it is certain that he is rushed to hospital after the fall. The BBC has confirmed that the secondo series of three 90-minute episodes will air in Autumn 2011. Irene Adler is also due to make an appearance during this episode. guys, if te Amore me then actually become a fan. Seriously, te humans really are idiots. a poll è stato aggiunto: Who portrays Sherlock better? In A Study in rosa (S1EP1) how does the cabbie take sherlock away? Scared da writers of Sherlock! Gatiss, THOMPSON and Moffat!